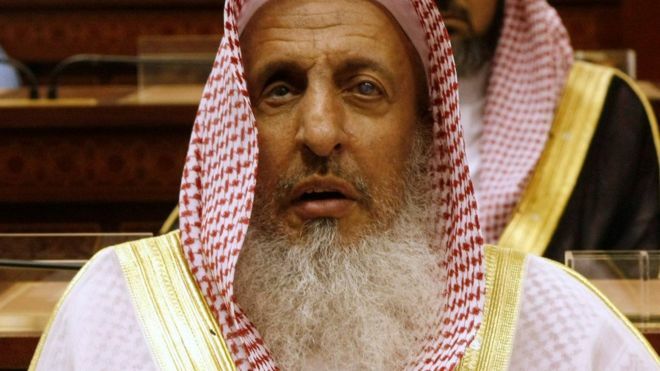 Saudi Arabia’s top cleric has said Iranians are “not Muslims”, a day after Iran’s supreme leader denounced its management of the Hajj pilgrimage. Abdul Aziz Al Sheikh, the grand mufti, said Ayatollah Ali Khamenei’s accusations were “not surprising”. “They are the sons of the Magi,” he said, referring to Zoroastrianism, a religion that once dominated Iran. Deep suspicions exist between predominantly Sunni Muslim Saudi Arabia and its mainly Shia Muslim neighbour. On Monday, Ayatollah Khamenei accused Saudis of “murdering” pilgrims caught up in a stampede at last year’s Hajj. “The world of Islam, including Muslim governments and peoples, must familiarize themselves with the Saudi rulers and correctly understand their blasphemous, faithless, dependent and materialistic nature. They must not let those rulers escape responsibility for the crimes they have caused throughout the world of Islam,” he added. The ayatollah made the allegation on the anniversary of the stampede, which killed at least 2,426 people, including 464 Iranians, according to an unofficial count. The Saudi authorities, who say 769 died, have made few details of their investigation into the stampede public but previously rejected criticism. Sheikh Al Sheikh was dismissive when asked by the Mecca newspaper about Ayatollah Khamenei’s comments. Animosity between Sunnis – who make up an estimated 85-90% of Saudi Arabia’s population – and Shia – about 90-95% of Iran’s population – goes back to a 7th Century schism. Hardline Sunnis – including many adherents of Wahhabism, the austere form of Islam practised by the Saudi ruling family and religious establishment – often describe Shia as “rejectionists” who have strayed from the true faith. The war of words between the clerics also comes nine months after Saudi Arabia severed diplomatic ties with Iran in response to attacks on Saudi diplomatic compounds in Iran by people angered by the kingdom’s execution of a prominent Shia cleric convicted of terrorism offences.